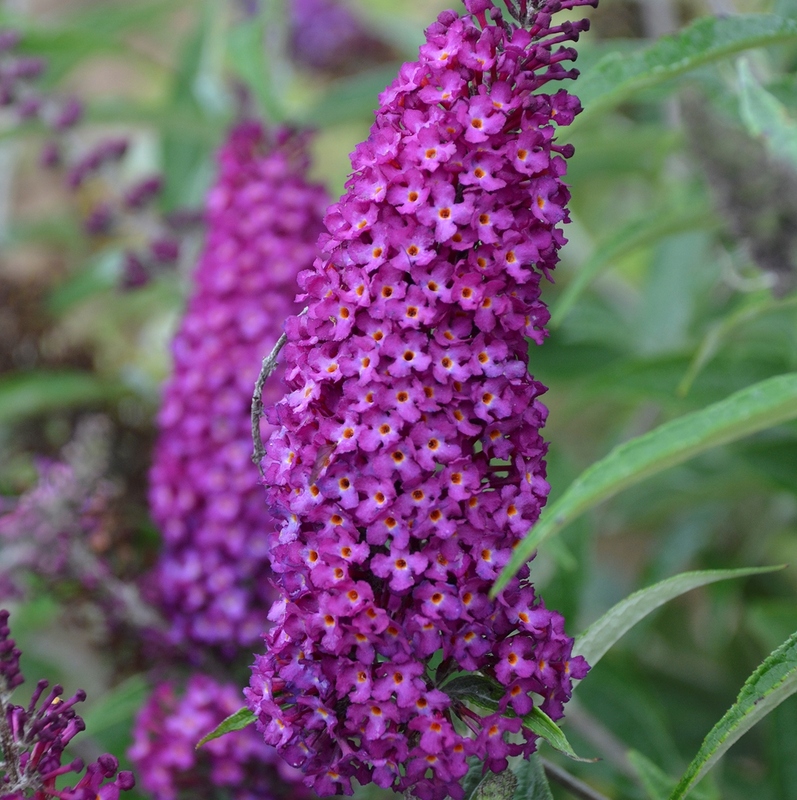 Buddleia HUMDINGER® 'Magenta Munchkin'. 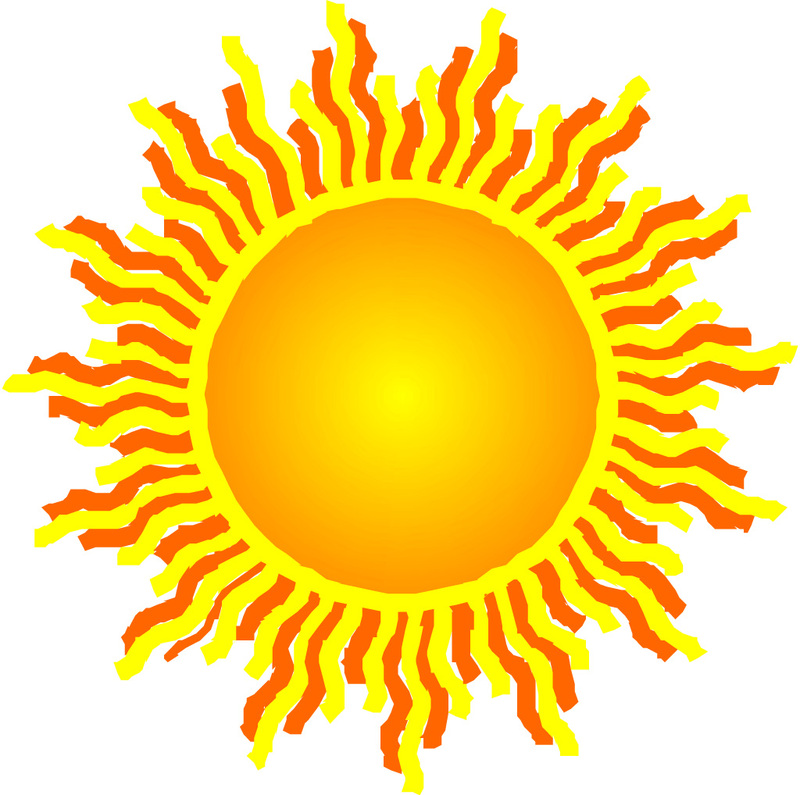 You’ll find this munchkin welcome in your sunny landscape because of its shorter stature and earlier blooming. 7-8” fuchsia red flowers have lighter centers on each individual flowers that look like eyes from afar. 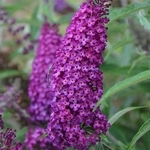 This floriferous variety will produce tons of flower panicles when in bloom. The low, rounded, ball-shaped habit has medium green foliage. PPAF.